First post and just a quick one. After owning my iPad for 6 months, there are two apps I use on a daily basis which make administrative tasks a breeze. Dropbox and Notability are the two most used apps on my iPad. 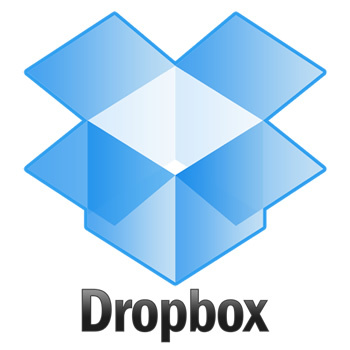 Dropbox is a cloud service which allows me to link my iPhone, iPad, work laptop and home laptop together. This allows me to create, view and save documents across all of these devices, removing the need for an external hard drive or easily lost USB stick. When I save a file to my Dropbox, it uploads that file to all of my devices the next time I am on them. A good example of this, is writing a lesson plan and saving it to my “lesson plan” folder on my Dropbox. When I am writing my advanced planner on the board for my next class, I can open Dropbox on my iPhone and have immediate access to the previously planned lesson, allowing me to transfer planned learning outcomes, success criteria and any other important information. Most of my documents are saved to my Dropbox these days! Notability is an efficient note taking app which allows you to use your finger or a stylus (I recommend a Pogo Sketch stylus) to take handwritten notes and file them away for future access. The app is easy to use and provides a number of great features. Notability has full a featured handwriting function, PDF annotation, word processing, linked audio recording, auto-sync (with Dropbox even! ), media insertation, library organisation and a number of other features. This app has replaced my current teaching planner, instead I create individual PDFs for each teaching week and get to plan my lessons wherever I find myself! Also great for note taking during meetings, classes and anywhere else you need to jot down something quickly. Dropbox is free, but Notability has a small cost (unsure of current price). Be sure to check them both out! #NZPETeachercast episode 25 – Flipping, Gamification and Genius Hours! NZPETeacher.com came about to share exciting way to use technology in PE and demonstrate effective flipped learning. It has since grown to incorporate a regular podcast and video log sharing stories from inspiring educators. Keep posted as the site continues to evolve with exciting additions in the near future! In 2016 Carl founded My Study Series, an online learning platform that has evolved out of his passion for flipped learning. The platform provides targeted video for every single achievement standard, paired with automated quizzing and data for the teachers. Check out out here!